Earlier today, I was ousted as the mayor of the Googleplex Patio on Foursquare. Turns out, it was this guy. KrazyDad was a man on a mission: to show the holes in Foursquare’s check-in based system. And boy did he. 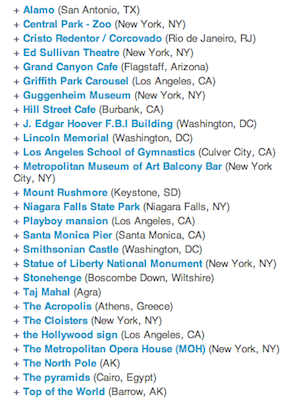 To be clear, anyone who has used Foursquare quite a bit is likely well aware of these holes. For example, there is nothing to stop you from checking-in anywhere in the world you want except that it’s easier to do it at a venue close by that automatically shows up on your list. But this guy, KrazyDad, used Foursquare’s API and some scripts to do his dirty work. In the end, he had captured dozens of mayorships across a range of fake Foursquare accounts. In the past, cheating hasn’t been that big of a issue on Foursquare because, well, who cares? The only thing you’re doing by cheating is exposing to those who catch you that you’re pathetic. But increasingly, Foursquare is gaining special deals that reward heavy participation. For example, a pizza place in San Francisco will give you a free pizza if you’re the mayor of that venue on Foursquare. It’d be a lot easier to cheat to become the mayor there rather than go there several times. It’s not unlike the “douchebag” problem that Foursquare is facing. That is, early-on, the first adopters of the service didn’t mind that there’s a badge called the “douchebag” badge. In fact, it added a funny element to the game. But now, as Foursquare moves more mainstream, some users are starting to complain about it. Likewise, more users are starting to complain about cheating. Well, at least as long as I’ve been using the service (about a year now), Foursquare has been thinking about the cheating issue. The problem, with regard to false check-ins, is that the only solid way to do this is to a check-in to your actual GPS coordinates. The problem with this, as Gowalla knows all-too-well, is that it can be hard (and in some cases impossible) to get GPS data while users are indoors. This is a major issue if you’re meant to check-in at a venue, obviously. Gowalla has actually had to ease up on its GPS check-in restrictions, to ensure more people could use the service. One thing Foursquare used to do (though I’m not sure if it’s still in place) is watch the rate of check-ins. If you do two or more too quickly, they would warn you to slow down (and even call you out for cheating). Still, that isn’t much of a deterrent if someone really wants to cheat. Those of you who follow Mike on Twitter may have noticed that he’s constantly checking-in at places like Israel one minute, and the Burbank airport literally the next. He’s been basically playing the same cheating game that KrazyDad has, but he’s been doing it for months (where’s the post, Mike?). Frankly, I’m not sure how concerned Foursquare has been about the cheating aspect. I’m sure they’ll say that they are, but really, these cheaters are just heavy users pushing others to care about the game more. When I saw the guy had ousted me as the mayor of the Googleplex, my immediate response was to want to go there and reclaim it. I’m hardly alone in this. That said, with the growing number of actual revenue-making business deals, Foursquare will have to address this sooner rather than later. The point of every game is to win it. And sadly, where there’s a game, there’s a person willing to cheat at it.